President Cyril Ramaphosa delivered the SONA during a joint sitting of the two Houses of Parliament. The theme for this year’s event was, “Following Up On Our Commitments: Making Your Future Work Better,” reports The South African. However, it’s the fashion on the red carpet that first captures the attention of the public, as members of Parliament, ministers and other dignitaries dress up for the occasion. 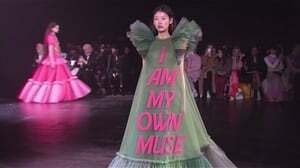 Mrs Africa Globe 2019 Lucia Ochan donned a cream and emerald green beaded dress that was made by NQ Boutique from Mpumalanga. 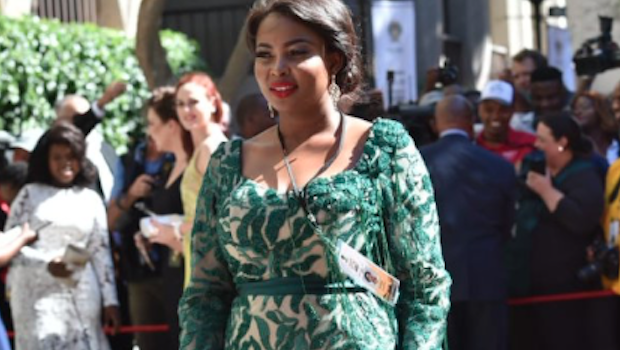 The Deputy Minister of Communications, Pinky Kekana, also strutted the red carpet with an emerald green gown – we loved this look! Lillian Womarans, wife of ANC MP Matthew Womarans, looked put together in a champagne and tanzanite blue dress, with a risqué bust area. DA Leader @mmusimaimane and his wife, Natalie, have arrived at Parliament ahead of #SONA2019.